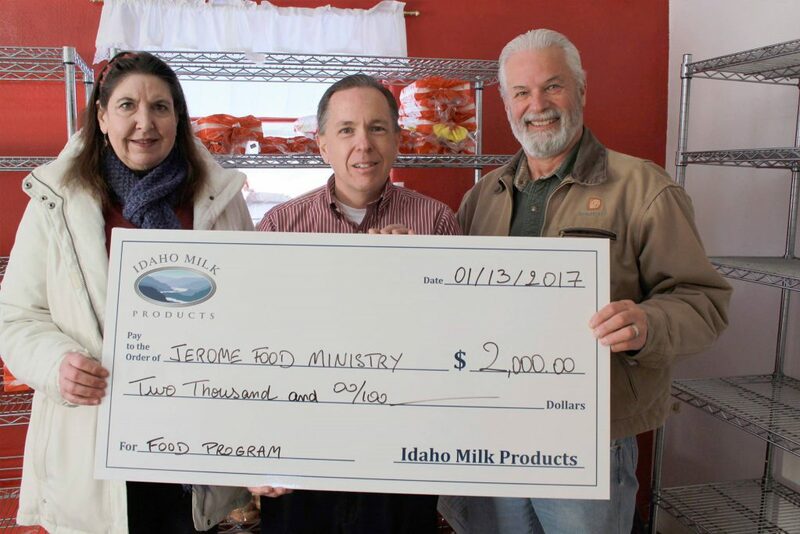 (Jerome, ID) On January 13th 2017, Idaho Milk Products presented a $2,000.00 donation to Martha and Mary’s Food Pantry in Jerome. This fantastic organization receives some support from the Idaho Food Bank and South Central Community Action, as well as other donations. Our donation will help them to cover their utility bill and rent for two month. We care for our community and we are proud to support it.